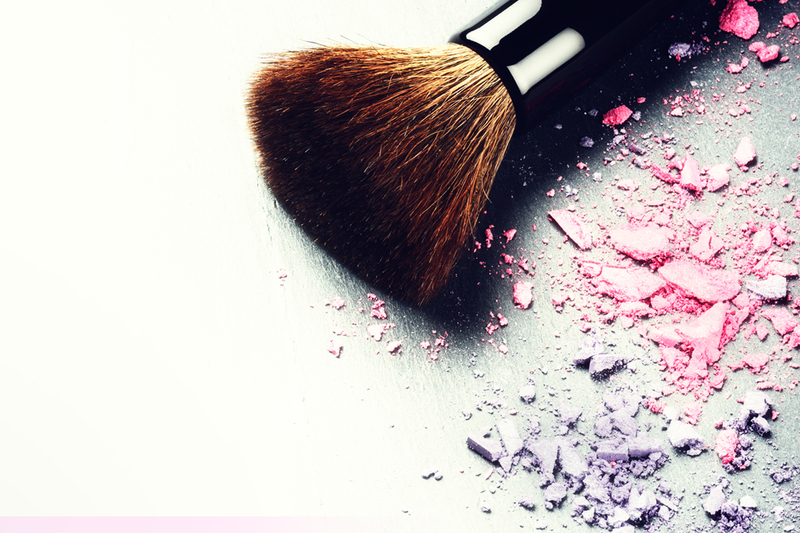 Our Online Introduction to Make-Up Course will teach you how to safely and successfully perform a range of make-up treatments including creating day, evening & basic bridal make-up looks. Guided by our comprehensive study materials and video tutorials, this online course will take you through the process to carry out a range of make-up treatments, as well as learning the theoretical knowledge and safety procedures involved in practicing these treatments to an industry-standard. Q Who are Online courses best suited to? Online courses are ideal for anyone, of any age, gender or background who wishes to learn a new skill from the comfort and convenience of home. Our Online courses are suitable for complete beginners and no previous knowledge of beauty is required as the courses cover all aspects of the treatment process including health & safety, consultation and client care to enable you to perform treatments to industry standard. The Online courses are designed to work seamlessly with PCs, laptops and most mobile devices including tablets and smart phones so you can study at your own pace, wherever you may be. Easy to follow online study materials are provided along with video tutorials filmed with professional therapists making learning engaging and straightforward. Following completion of the multiple-choice theory assignments and a small number of case studies provided to friends or family at home, you will achieve your certificate recognising your learning and achievement. Free access is available by email to our in-house expert Support team, throughout your studies and beyond. Q How long will I have to complete an Online Course & access the Student Portal? All students have 8 weeks from the date of booking to access the Online Student Portal where you can access the comprehensive course materials including training manuals, video tutorials and the online multiple choice assignments. You have access to our in-house Support team by email or telephone throughout your studies and beyond. Most students complete their Online courses within a few weeks; however we can extend the study period upon request. Q How can I access the Student Portal? Do I need a computer? Our Student Portal is entirely online based and can be accessed quickly and easily from any mobile device connected to the internet including smart phones, tablets, laptops & PCs. It can be accessed at any time, anywhere in the world so you can work through the course at a pace to suit you, around any existing commitments you may have. Q What do I need to do to complete an Online course? You will be sent login details to access our Online Student Portal as soon as your bookings is processed. You will be guided through your online course so you are clear what is required at each stage. You will work through the comprehensive study materials online at your own pace; including training manuals, video tutorials and multiple choice tests to help demonstrate your understanding. You must achieve 70% on each online theory test but can retake the tests as many times as you need. You will need to complete a small number of treatments at home on friends or family and submit evidence of these treatments to complete your course. This is approximately 3-6 treatments depending on the course, although we recommend you complete as many treatments as you need to build your confidence before submitting your practical assignment. You will need basic products and tools at home to complete these treatments so we recommend the purchase of a starter kit. Once all assignments are complete, you will receive your certificate by email. We also highly recommend the purchase of Student Insurance to cover you during your studies. Q Do I need to purchase a starter kit to complete the course(s)? You will need to have basic products/tools to allow you to complete a small number of treatments on friends and family. You will submit evidence of these treatments towards achieving your certificate. A small selection of starter kits are available to purchase online through The Beauty Academy. Alternatively you can purchase products or kits from your chosen supplier. Q How can I book my online course? It is quick, easy and secure to book onto any of our online courses through our website. Once we have processed your booking, you will receive a confirmation email providing your login details for the Student Portal allowing you to begin learning! Q Can I attend any face to face training? Face to face training is not required to achieve the certificate or to obtain insurance through our scheme. Our Online courses are very comprehensive and ensure you will learn best practice and acquire the skills required to deliver treatments to an industry standard so you are fully supported to achieve the certificate through distance learning only. However, if at any time during your studies or within 12 weeks following completion of your online course, you feel you would benefit from attending some face to face training*; we are happy to arrange this for £100 per day required. Subject to availability, training sessions run across our training centres with attendance from 10.00am – 4.00pm and would be provided on set dates from our training schedule(s). *This option is only available for selected courses. We do not offer a face to face option on some courses including Tanning, Nail Art, Thai Foot Massage, Indonesian Massage & Express Volume Lashes; these are Online courses only. Others are provided at selected centres only. If face to face training is an option you are considering, please contact our team to discuss this before enrolling for an Online only course, to ensure you begin the best training route for you. Q What are the advantages of an online course? Our Online Introduction to Make-Up Course is designed for those who would like to gain a basic understanding of make-up application either as a taster before committing to a more advanced course, to allow them to apply make-up to themselves or friends/family with confidence; or for a new or existing beauty therapist who would like to gain or refresh their knowledge of make-up application techniques. Our online course will teach you to perform basic make-up treatments with confidence. Our online courses are suitable for complete beginners and do not require any prior learning to be able to train with us; many of our students are not yet beauty trained and are looking to start up a business in the industry. We welcome students of all abilities, whether you are looking to learn a new skill from scratch or currently working as a therapist and looking to refresh your knowledge of particular treatments. When you have successfully completed your training course(s), you will receive a certificate issued by The Beauty Academy recognising your achievement on the Online course. These are great to support applications for further training courses, entering employment or indeed may be considered CPD for existing therapists. You should purchase our student insurance policy (£20) while studying and then our professional insurance package (£70) before you offer treatments to paying clients. Remember to follow closely what you have learned on your course and to always adhere to best practice. You can find out more and purchase insurance online by visiting the page for Information on Insurance Scheme for online courses. The online courses are an excellent starting point for those who have a passion for beauty and wish to learn new skills. Completion of the online courses will equip you with the essential knowledge and skills to provide pampering on yourself and also to friends, family and paying clients. We recommend all students purchase Student Insurance while studying their Online course. This is available for just £20 (plus tax) and covers you while practising your treatments on friends and family. This can be purchased securely online directly from Radius Insurance. Our online courses have been designed following over 25 years experience in delivering private beauty training. We understand the requirements of our students and online courses are delivered in an easy to follow way, accessible on your computer or mobile device. Comprehensive course manuals written to the highest industry standards accompanied by video tutorials produced with our professional tutors allow you to develop the required knowledge and skills to be successful within beauty. Our in-house Support team is available through your studies and beyond.